Casino Security Services, Liverpool, Manchester, Blackpool, UK. Casino security staff are smart, professional individuals. Our Door Supervisors and Security Guards are hand picked, mature, have a high standard of presentation, excellent written and verbal communication skills. Use their own initiative and have a great deal of common sense. 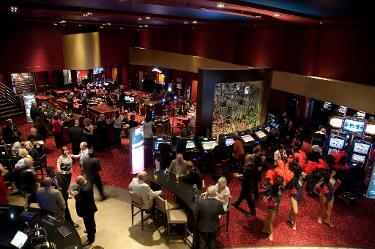 Making your Casino an enjoyable, hassle free place to visit. Casino Security Services in Manchester, Greater Manchester, Blackpool and Lancashire. complementing their skills and enthusiasm with cutting edge technology, we will safeguard all your physical, human and corporate assets. Security Staff are SIA security licenced, fully insured, screened, and vetted. Our Casino Security Guards are highly trained professionals. Capable of protecting your property from vandalism, theft and other illegal activities. Guards patrol the Casino and grounds, also stay stationed at a static position for a certain length of time to monitor events. Casino Security Guards also protect the gambling hall's money during transport, from the gaming pit to the vaults and other destinations. Occasionally, our officers will go undercover in street clothes to monitor and investigate suspicious activity. Our Security Guards are well trained in customer care and good at interacting with the general public. Not only do they safeguard patrons and their property, officers assist guests whenever asked. Which includes escorting customers to their cars. Casino Security Staff are first aid trained and have attended a three day first aid at work course which is HSE approved and certified. Able to look after your Casino, clients, and staff. Available for holiday or sickness cover. Long or short term contract.